Dallas is the heart of North Texas, where you can experience all four seasons. From the occasional snow fall in the winter and blooming wildflowers in the spring to the vibrant oranges and yellows of fall, there’s always something to savor as you’re enjoying the outdoors. Fortunately, there are many Texas state parks near Dallas that offer gorgeous views, scenic hiking trails, and some of the best fishing in the Lone Star State. Read on to get to know a few of them and start planning your next visit to a Texas state park today. 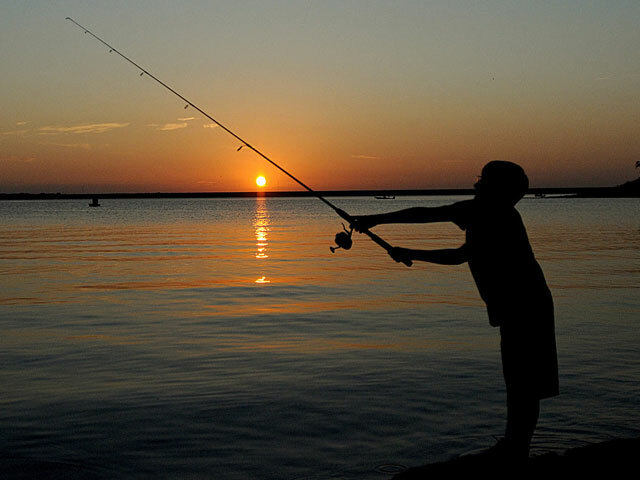 Nestled on the picturesque shores of Lake Texoma about an hour north of Dallas, Eisenhower State Park is the kind of place you go to catch a few fish and watch a spectacular sunset. Hike more than four miles of trails that meander along high bluffs and through dense woods. 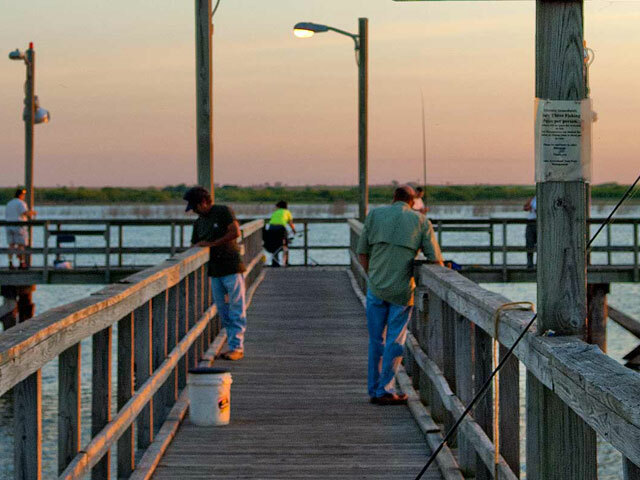 Cast a line from the shoreline or one of two piers in to one of the best fishing lakes in Texas, where large and smallmouth bass, blue catfish, and striped bass are abundant. Ride your ATV or dirt bike through gorgeous backcountry woodlands (permit required). When it’s time to kick back and relax or go for a swim, head to the pristine beach set inside a cove surrounded by towering limestone cliffs. Then sleep under the stars at one of the more than 150 campsites. If you prefer a roof over your head, reserve “Ike’s Cabin,” a limited cabin with two bunk beds that can accommodate up to five people. Founded in 1868 just 60 miles northwest of Fort Worth, Fort Richardson was the northernmost military base established by the U.S. Army after the Civil War. At its peak in 1870’s, it was the most important post in Texas, functioning as a key staging area for the Red River War. Today, the fort (now Fort Richardson State Park) stands as a living tribute to an era when much of Texas was still unsettled frontier. 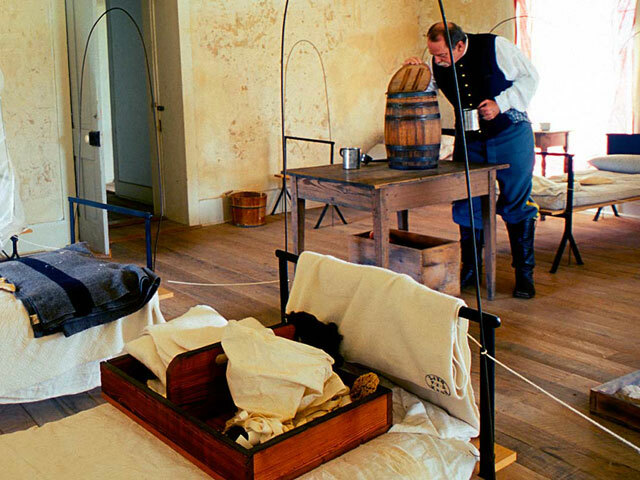 Get a sense of what life was like at the fort as you visit the restored post hospital, officer’s quarters, powder magazine, morgue, commissary, guard house, and bakery, as well as the two replica structures: the officers’ and enlisted men’s barracks. 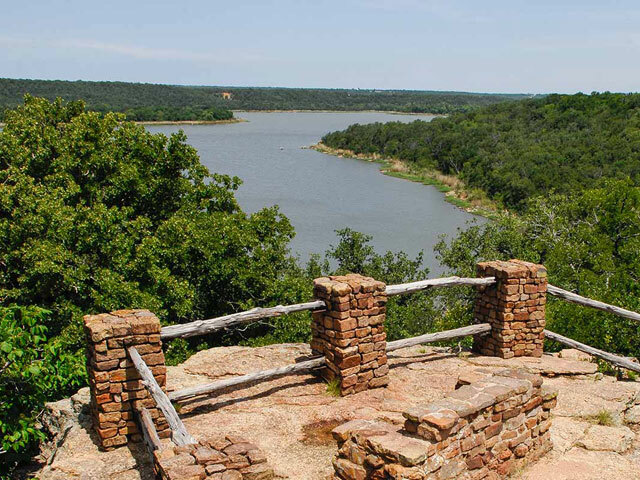 Discover the fort’s own chapter in Texas history, then hike, bike, or ride horseback on the nine-mile Lost Creek Reservoir State Trailway. Admire all the pecan and oak trees and colorful wildflowers as you travel past the scenic Lost Creek and around the Lost Creek Reservoir. With historical buildings and plenty of outdoor sights to take in, Fort Richardson State Park has something for everyone. Swim in the refreshing waters of Lake Arrowhead and catch a stellar North Texas sunset as you try to hook a bass or catfish. You can have all these experiences at Lake Arrowhead State Park, an oasis among the rolling grassland prairies near Wichita Falls. Whether you’re looking to play on the land or in the water, you’ll find plenty to do here. Horseback riding, mountain biking, hiking, and playing a round of disc golf are great ways to explore the park’s 300 acres of terrain, while you can revel in the sunshine on the unsupervised beach. A boat slip gives you access to the lake for boating and water skiing, while the fishing pier provides a great place to fish as you admire the view. Don’t miss a visit to the black-tailed prairie dog town, where you can watch these adorable critters run and play. All the natural beauty of North Texas is on full display at Lake Mineral Wells State Park. Rest in the shade of pecan, oak, Texas ash, and walnut trees and hike on nearly 13 miles of trails among fields blanketed in sunflowers, Indian paintbrushes, and bluebonnets. Hook a catfish, crappie, sunfish, or largemouth bass from one of six fishing piers and rent a flat-bottom boat, canoe, kayak, or rowboat to explore the 640-acre lake. Want to test your bouldering skills? Pay a visit to Penitentiary Hollow, one of the few natural rock climbing areas in North Texas. There’s no end of the ways you can celebrate the outdoors at Lake Mineral Wells State Park. Better yet, it’s just 45 minutes west of Fort Worth, meaning you’re not far from an unforgettable adventure.